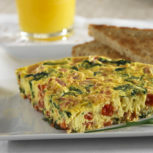 The Egg Slice, Veggie Egg Casserole or Vegetable Frittata. Whatever you call it, it is undeniably one of our most well loved recipes. 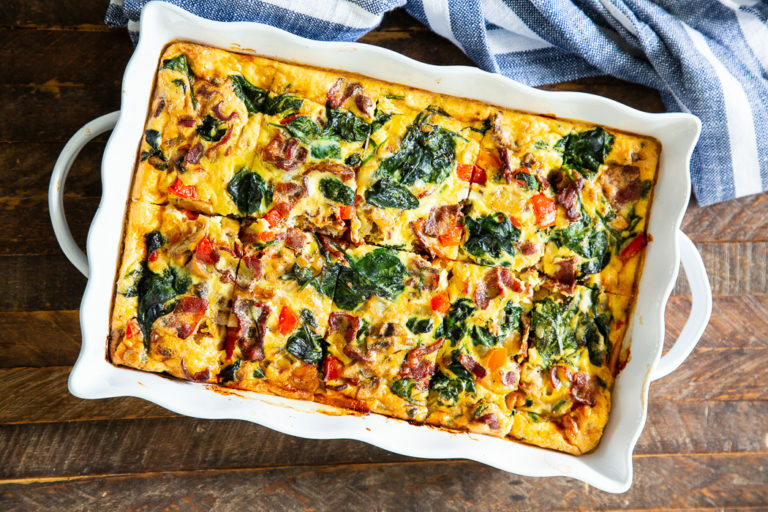 This is a versatile recipe in that you can mix and match ingredients. i.e. 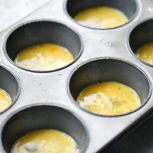 change the cheese to a Feta or Blue; add pumpkin, zucchini or squash; The ingredients aren’t the only things that are versatile with this recipe – you can pour the mixture into a muffin tin to make smaller individual servings or bake in a round or square casserole dish. We’ve even made this in a cast iron pan. We hope you enjoy this dish as much as we do! In a mixing bowl, whisk together the egg, milk, cheese, herbs and seasoning. Heat oil in a pan, add the onion and garlic and cook for approx 5 mins. Add the bell pepper (capsicum) and mushrooms and cook for a further minute. Add the broccolini and cook for a further min. Stir in the spinach/fresh greens. 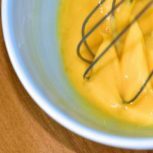 Give your egg mixture a final whisk and pour the mixture over the vegetables. Stir briefly to distribute the mixture evenly across the pan. 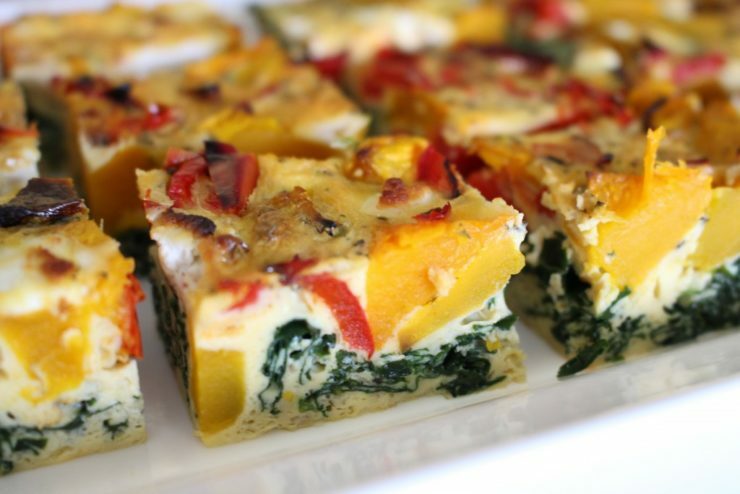 Transfer to the oven and bake for approx 8-10 mins, ideally, you should take the frittata out of the oven when the middle still has a SLIGHT jiggle to it or when it is just set and no more. Cool in the pan for 5 mins and then slice and serve.